I hear fat activists say that they prefer “fat” to terms like overweight and obese, but I don’t get it. What’s better about fat than obese or overweight? Well Lissa, I’m glad that you asked! As always people are allowed to identify themselves using whatever terms they prefer, and I can only speak for myself, but here’s what I’ve got. My issue with the word “obese” is with how it’s used to pathologize a height/weight ratio. The idea that our weight in pounds times 703 divided by our height in inches squared gives a health professional tons of information about our health and treatment options is pretty messed up, and that’s before you take into account the fact that the “obese” definition includes Dwayne Johnson (The Rock). In addition to being an annoyingly useless abuse of mathematics, it’s dangerous to those of us who fall under its numerical construct,, causing healthcare professionals to focus on height weight ratio instead of their actual patients, even making them believe that they can diagnose mental and physical health issues from a picture of someone they’ve never met. There is a weight that they should be. They are more than that weight. Finally, I talk about my use of fat in great detail here, but the (relatively) short answer is that I like the term fat basically because it is descriptive of my situation – I’m short, I’m brunette, I’m fat – I’m not over [some arbitrary] weight, I’m not (as The Fat Chick says) medically under-tall. I’m just fat, and there’s nothing wrong with being fat. To me the idea that I need another word suggests that the fact that I’m fat is a bad thing – something that I should be ashamed of and need euphemisms and verbal gymnastics for (like that whole “I’m not fat, I have fat.” Right, just like I insist “I’m not brunette, I have brown hair.”) It’s also a reclaiming word – it’s a a word that people use against me, and my use of it is one way of telling the bullies that they can’t have my lunch money – and that I won’t stand for people heaping their prejudice onto my adjective. ‹ PreviousFDA: Trade Your Double Chin for Nerve Damage! While the lived consequences of our weights are vastly different, you have hit the nail on the head exactly for why I hate so much being classified as “underweight.” There’s a weight I should be; I am less than that weight; it is somehow other people’s job to decide how much I should weigh to be a real person. I hate the flipping BMI. This reminds me of a former co-worker of mine. She came from China, and at the time, the Chinese government dictated a minimum weight for students. Yes, in order to go to college, a person had to weigh a certain amount. Too much or too little, and you were not allowed to attend college. My co-worker, at the time, was thin. In fact, she was “underweight.” So, her mother sewed little lead weights into her clothes, so she could pass the weigh-in test and go to college. Health had nothing to do with it. It was so messed up. People are the size their bodies are going to be. 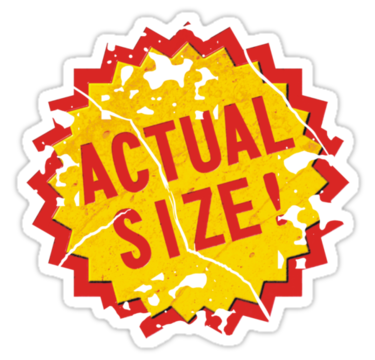 There is no “right size.” It’s absurd, in both directions! Yep, overweight assumes there is a right weight I’m not. It tells everyone I think there is something wrong with my body. I used to think obese meant something until I learned that it means not only me, but Tom Cruise and most of the NBA, as well. Fat is a simple descriptor. Yes, it’s loaded with social stigma, but that’s the very thing that makes it powerful when I use it to describe myself. I choose it. I say it. I love me and I’m fat. A friend was talking to me about a third party being obese. She probably said the word “obese” seven or eight times during the conversation. Finally I stopped her and said, “I can’t stand that word. Please say fat instead.” (Now, I don’t know how the third party would have preferred to be described, because she wasn’t there, but I do know what I prefer!) She was shocked, and couldn’t understand why the word “obese” would bother me. She reads my blog, where I talk about this a lot, but still. Thank you for explaining just how I feel about it, Ragen! Great post. I point out that I’m overweight BECAUSE it’s a great way to illustrate how meaningless the word is. People will argue with me to tell me that I’m not overweight or try to offer validation by saying THEY don’t think I’m overweight as if the word is synonymous with “fat,” when really it’s just bad math and an abuse of the English language that has no positive/negative value when applied to the reality of diverse bodies. I like the term overbuilt – it works for me because all of me is above & beyond “normal”. Up to & including internal organs (found that out when I had my gall bladder removed – the Dr had to get a special clamp because standard was too small) BUT, I drive Dr’s bonkers because other than my size – I’M PERFECTLY HEALTHY!! I just figure people exist on a bell curve – most are within “normal/average” parameters and some aren’t. I’m lucky in that I realized this as a teenager & recognized I was never going to be petite and/or small. You can’t change bone structure. Every time I tried to comment the whole thing froze and crashed. Fat is arbitrary. There is no real “measurable” way to describe fat on a person. Everybody has fat. Babies are fat, puppies are fat, chubby this, chubby that. Overweight and Obese echo this standard/limit of weight. Anybody who is over certain BMIs can be considered Obese or Overweight, but that doesn’t really mean anything. I’ve heard fat used in positive terms for a while now, but never Overweight and Obese. Fat people, like myself, do not claim it, it seems. That’s my opinion. Hope it helped. I absolutely use the word “Fat” as a reclaiming word. The time that cemented that reclaiming resolve in my heart and in my life was one that was inspired by Ragen and other Fat Activists – I was having an argument with a coworker and suddenly he turned into a 6 year old (figuratively speaking) when he realized he was losing the argument, so in a moment of pure moronic asshatery he said “Well, at least I’m not fat. You’re FAT.” Mind you, this was coming from a full grown adult male. And the smile that he sported as soon as he said that told me that he though that he “got me”. I raised my eyebrows and smile at him like he was the small child he was acting like and said really slowly “Uhhh Yeeaaaah. Congratulations for having eyes.” And then laughed at him like he had said the dumbest thing in the world. The look on his face – the smile he HAD been sporting fell off his face so fast. And he looked at me all confused like he couldn’t believe it. What he said had the opposite effect than the one he wanted. Instead of hurting me and making me back down it made me stand up taller and look at him like he wasn’t the sharpest tool in the shed. The fact that he thought that simply saying “You’re FAT” would zing me into silence or get me to back down was like a wake up call for me – made me realize just how deeply and completely messed up our society was when it comes to people’s body size and how desperately things really need to change. Don’t get me wrong- as a fat woman who’s been fat her whole life I knew how horrible others treat fat people, but until that moment it didn’t sink in on how very very deeply messed up or society is when it comes to weight. Reblogged this on Tessa Can Do IT!. I am practising saying that with a kind and serious face.